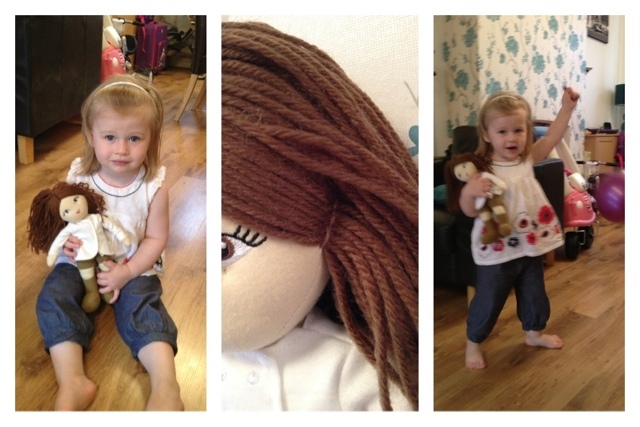 Liv was very lucky to be sent a lovely new doll from Little Us. 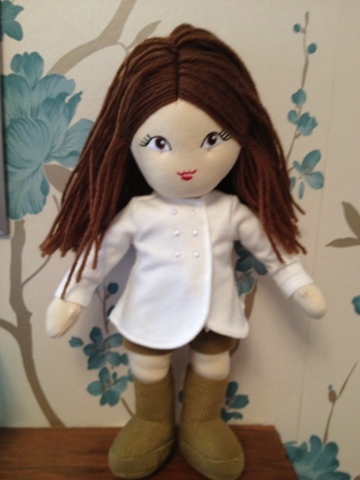 Her name is Amelia, she is 12 inches tall and comes with a tag attached that says "Im Amelia, I am a little bit shy. I like to read my books and look after my animals especially if they are poorly. When I grow up I am going to look after all the poorly animals and make them all better. My favourite little touch is the few stitches in her hair either side of her face, this prevents her hair covering her face all the time which really frustrates Liv with other dolls and results in me making Dolls hairbands or using hair clips! I would definately reccomend this doll to family and friends. Disclaimer: I was sent this doll for the purpose of the review however all opinions are my own.